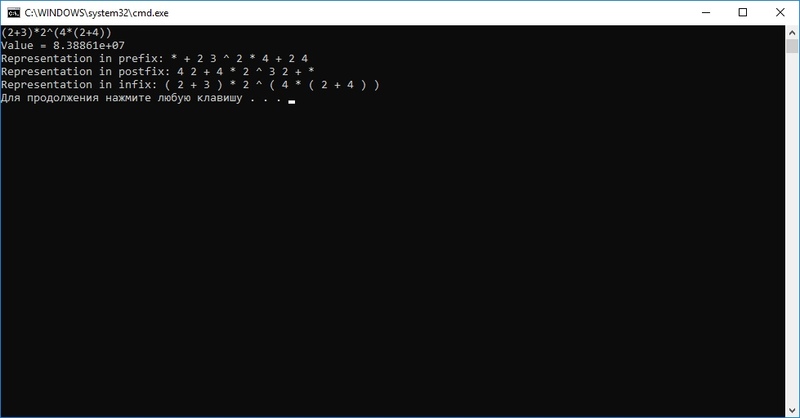 Math expression to a binary tree parser. Can also evaluate it. A .cpp file with a class of math binary tree and a function to parse math expression into a tree. Functions to evaluate the expression and to represent it in infix, postfix and prefix forms are realised. An example of usage of a program is commented as a main function in a file. You can contact me if something goes wrong.